Byron Automation has over 20 years experience in designing and building the right automation solution for our client’s needs. As one of the country’s largest robotic integrators and having installed over 150 traditional palletizers lines we know there is no single right technology or solution. We specialize is matching the challenge to the appropriate solution. 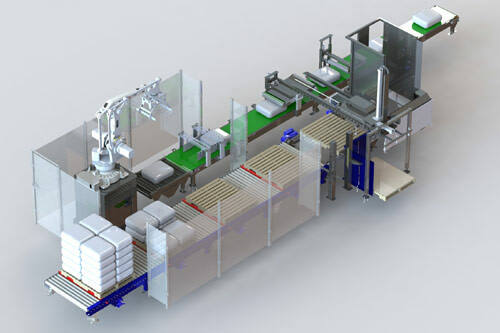 End-of Line Solutions include both Robotic and Traditional palletizing of bags, boxes and goods in various forms. 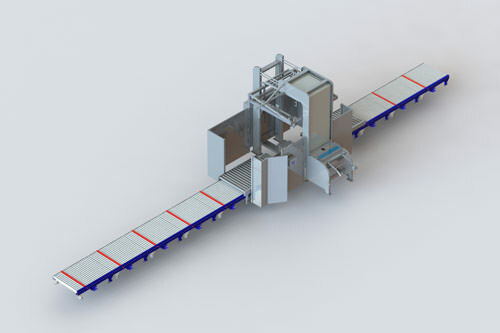 In-Process Solutions encompass the automated steps prior to palletization. 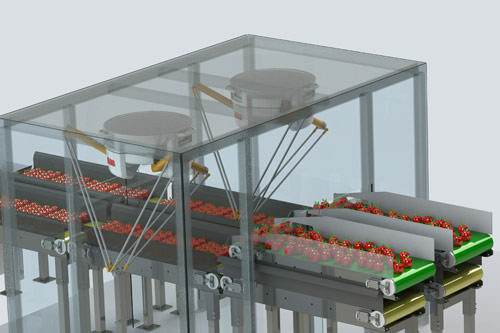 Solutions include flexing picking delta robots, case loading, machine tending, bin dumping, bagging and closing. Material Handling Solutions provide product transport along with load prep such as stretch wrapping and stretch-hooding.